In My Garden: I Love Lilac's, I Just can't help it. I Love Lilac's, I Just can't help it. Hello friends, yes it's true Lilac's are my favorite bush(shrubs). I can't help it they smell so good and are so easy to care for. That makes them double good! Lilacs are low-maintenance shrubs. They offer good summer shade once they have reached several feet tall and they provide privacy. Spring or fall is the best time for planting lilac bushes. Situate the lilac with its roots spread vertically in the ground and make the hole both deep and wide enough to accommodate them. If planting more than one lilac bush, space them at least five feet apart to prevent overcrowding, even if you plan to use them as hedges for privacy. Lilacs do not like their feet wet for a long period of time. They do best on hillsides, slightly elevated areas, or level ground where there is good drainage. Their roots run deep. If you have an extended dry period of drought, water infrequently but thoroughly. You do not need to provide fertilizer or organic feeding for your lilacs. Use a general-purpose fertilizer in early spring or one high in phosphorus to promote blooming. Too much nitrogen in the soil will result in poor blooming. Repeat the use of a general-purpose fertilizer after the flowers have all died off. In Grandma’s day she used to spread her fireplace ashes around the drip line of her bush for bigger, better blooms. Lilacs are clump forming, producing new shoots from the base of the trunk. These shoots can be used for starting new lilac bushes. Dig down from the main clump, exposing the roots and cut the shoot away from the mother plant. Make sure you include roots. Then simply plant the shoot in a suitable location, watering regularly until it takes hold. With just a little care and maintenance, and the knowledge of how to replenish the old wood with new shoots, the shrubs will last a lifetime. There are a few reasons why a lilac may not be blooming. The most common reason for a lilac not blooming is a lack of sun. Lilac bushes that won’t bloom are usually planted in a location where they get enough sun to live, but not enough sun to bloom. 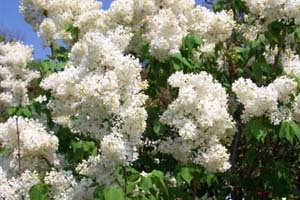 A lilac bush needs at least five hours of sun and preferably a full day of sun in order to be there very best. The next reason that makes a lilac bush not flower is the way you pruned. Lilacs do not need to be pruned, but if you prune it back hard in order to rejuvenate the bush, the lilac bush will take several years to recover. Even light pruning, to shape the bush, can affect how well a lilac blooms. Pruning lilacs in late summer will cut away the wood that would have been the blooming wood for next year. 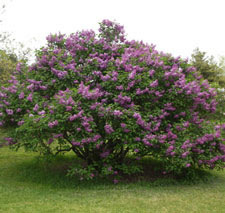 A third cause of lilac bushes that won’t bloom is too much nitrogen. Because of this, you should not fertilize your lilacs. 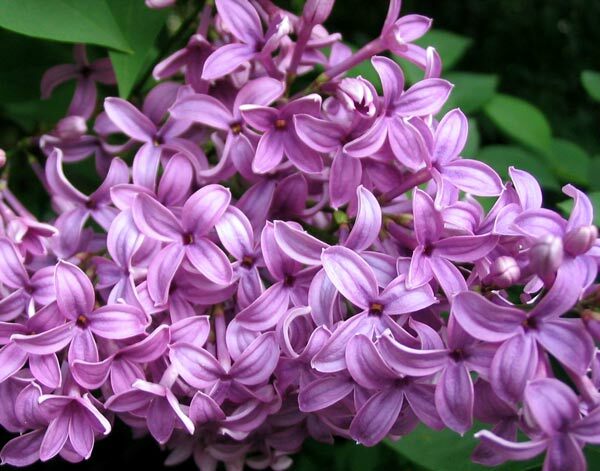 They don't need much in the way of nutrients and fertilizing can cause a lilac's to take up too much nitrogen, which keeps the lilac bush from blooming. That includes fertilizing your lawn so try not to get it to clothes to your bushes. See how easy they are? I swear you could ignore them completely and they would still be wonderfully beautiful! I just upgraded my flower pages at www.geosymbols.org/World/Alabama/Flower, www.geosymbols.org/World/California/Flower, and www.geosymbols.org/World/Venezuela/Flower, which will give you an idea of how I am using photos. If it's OK to use the image, please advise me how to credit it and what web page you'd like me to link to.